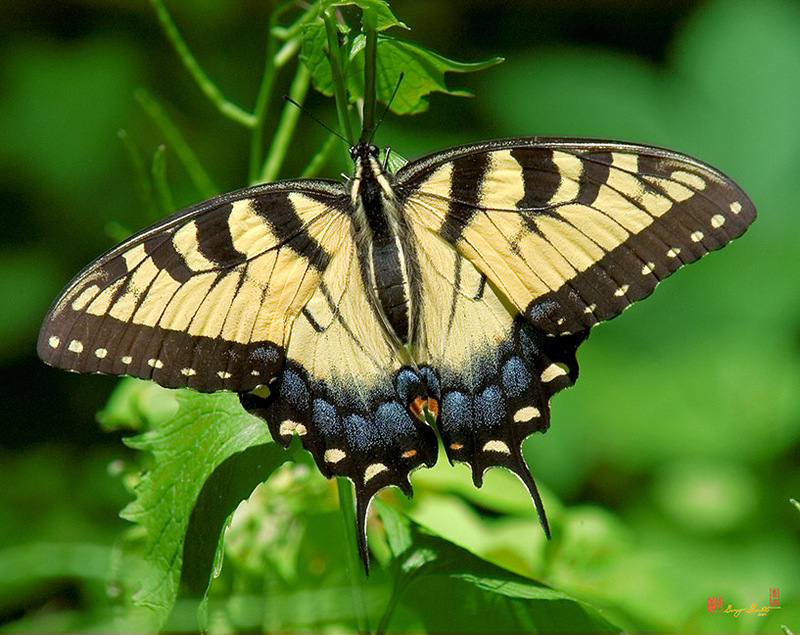 An interesting side-line on this butterfly is its scientific name. 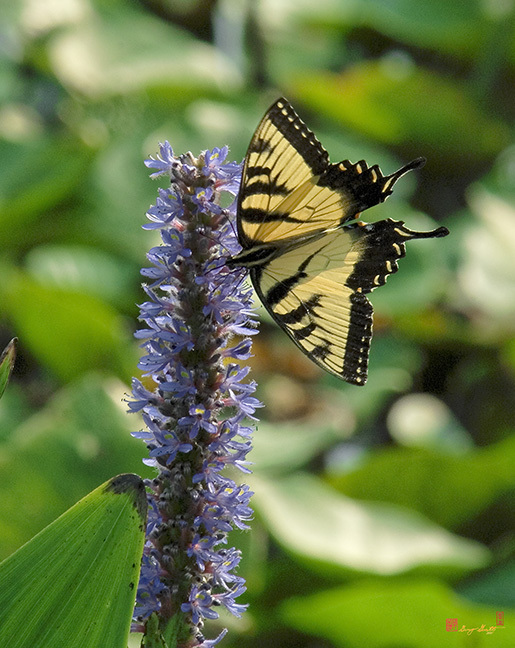 "Glaucus" means bluish-gray in Latin. 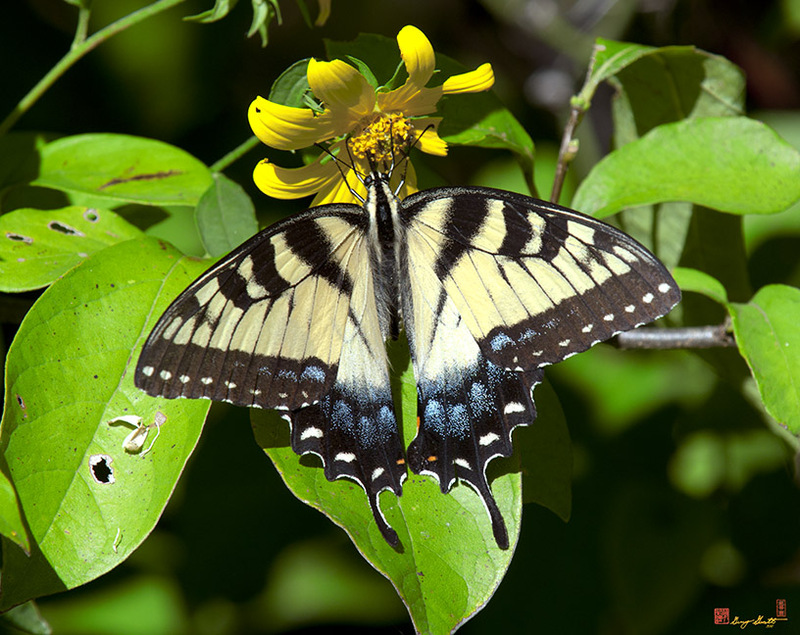 Linnaeus, who established the scientific name, had a black form female which he used in naming the species based on her color. 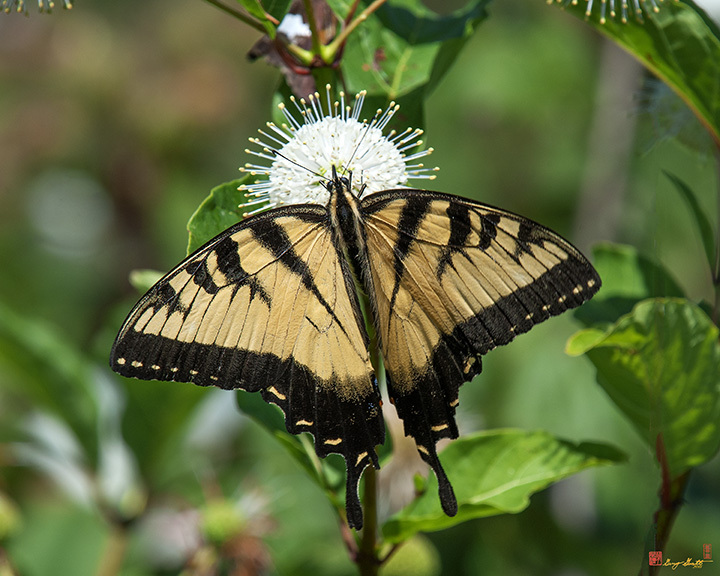 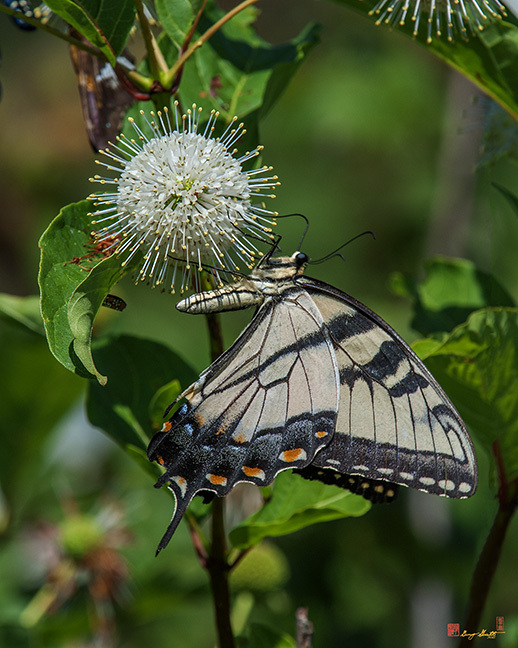 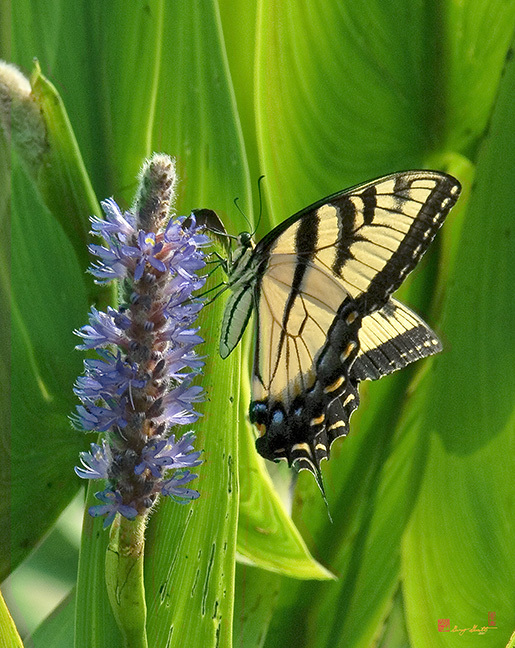 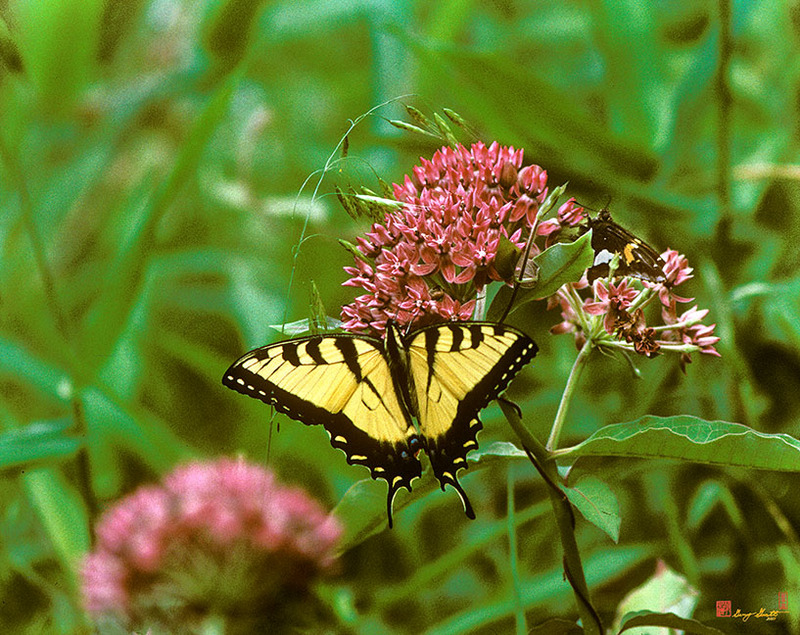 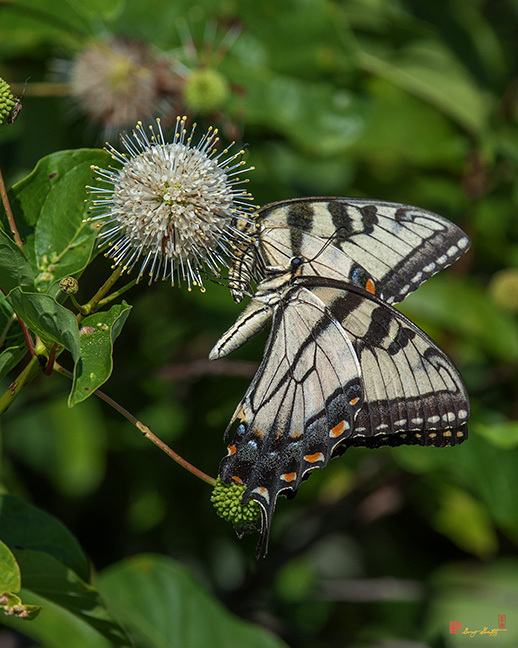 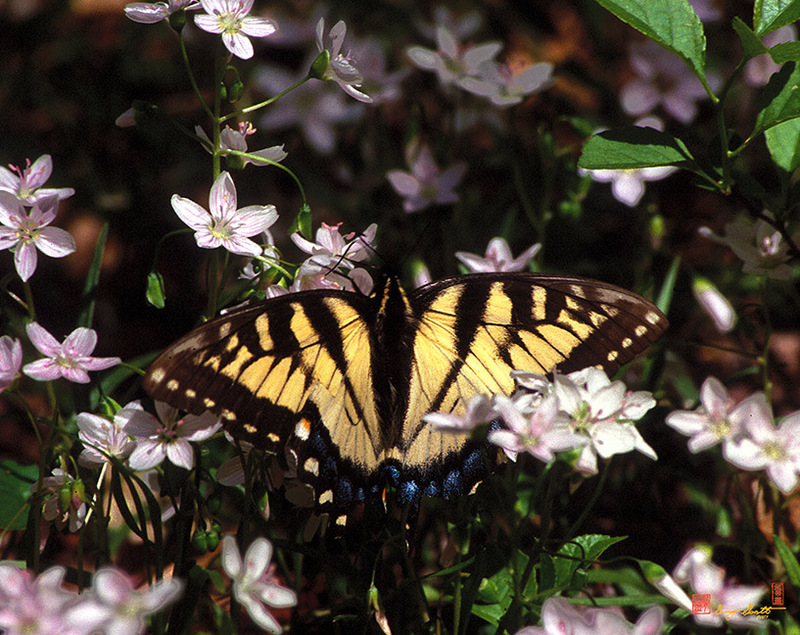 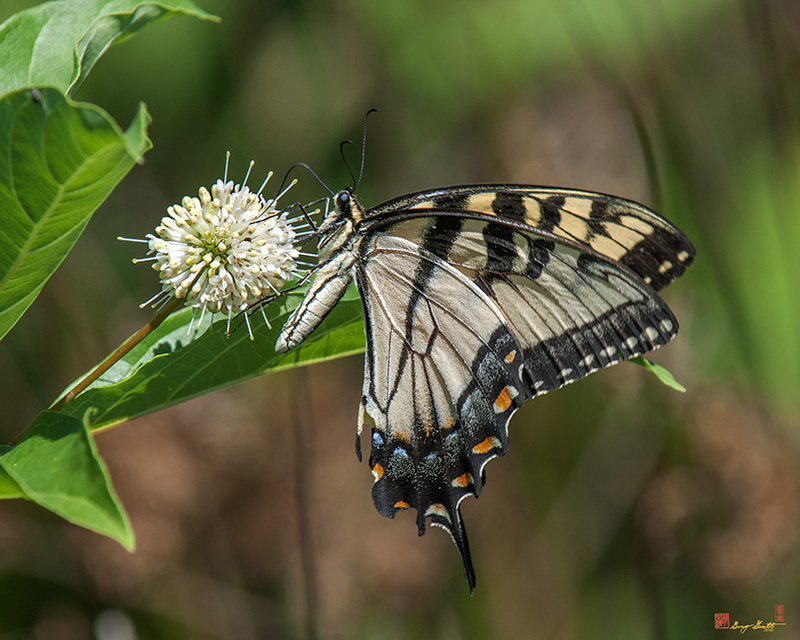 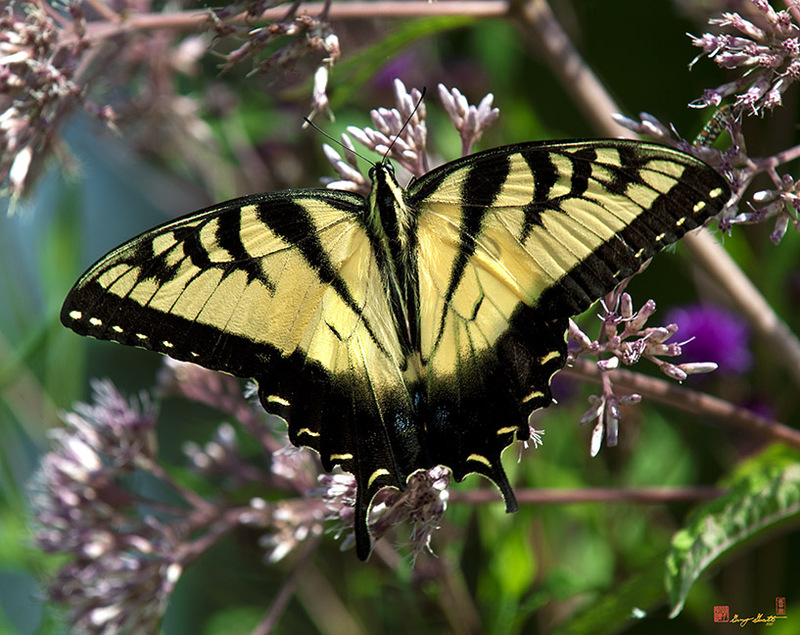 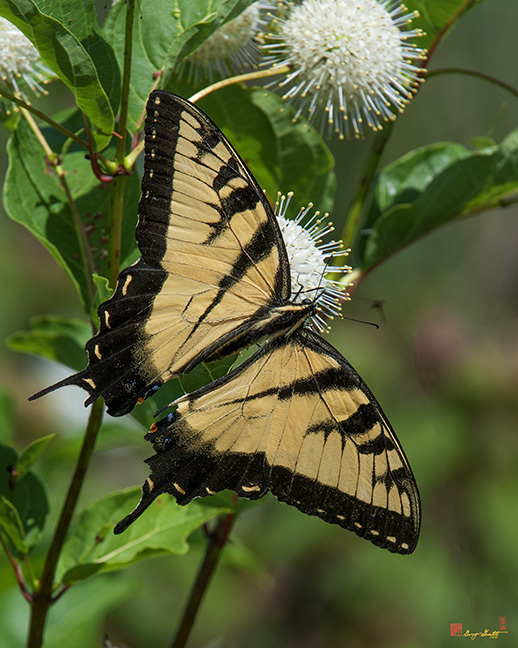 Even though the majority of females and all males are the typical tiger-stripe form, the name had been established and the Tiger has always been, scientifically speaking, the Bluish-gray Swallowtail.